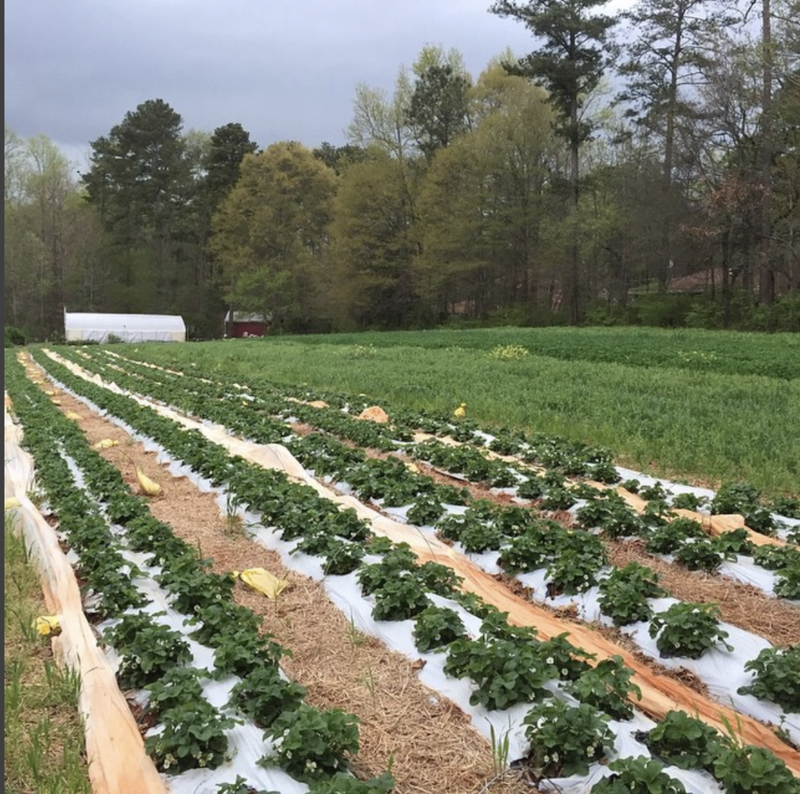 We offer educational farm tours of Gaia Gardens, located in-town in the East Lake neighborhood, to schools and groups that would like to visit the farm. Tours are available on Tuesdays or Thursdays by emailing joe@loveislovefarm.com. The cost of a tour is $7 per person (8 person minimum) or $200, whichever is less, for an hour and a half tour of the farm. Groups over 40 require more than one farmer to provide a tour and are subject to the extra cost. We do not turn anyone away that cannot pay the fee. We encourage tour groups to bring a lunch and blankets to picnic afterwards. Tour fees help us offset the cost of our insurance policy and cover the cost of our time away from farm work. Joe Reynolds is available to consult if you are looking for guidance on beginning an organic farm, utilizing organic farming practices, running a sustainable, profitable farm business, or crafting a land lease opportunity. Joe has been farming organically in Georgia since 2005 and has eight years experience running a successful farm business and community supported agriculture program. For an initial consultation at our farm, the cost is $50 per hour. Volunteering with us is a great way to avoid this cost. For initial consultation away from the farm, the cost is $200 for a two-hour visit. For ongoing projects, we can discuss applicable rates. Email here to arrange a consultation. Volunteering is a great way to get your hands dirty and gain first hand experience in farming. We take volunteers on Tuesdays, Wednesdays, and Fridays. We ask that all volunteers pre-arrange their visit by emailing Joe at joe@loveislovefarm.com. Volunteers always work in groups with the farm crew, doing whatever the task “du jour” might be that day. Come prepared with appropriate clothes, close-toed shoes, a water bottle, hat, sunscreen, snacks, farm and food questions, etc., for a fun, successful time.